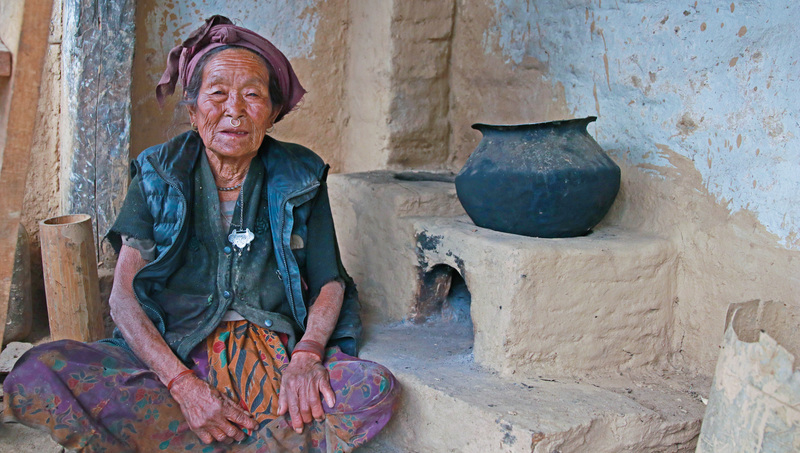 Lalichandra Kulung is satisfied with the new stove! 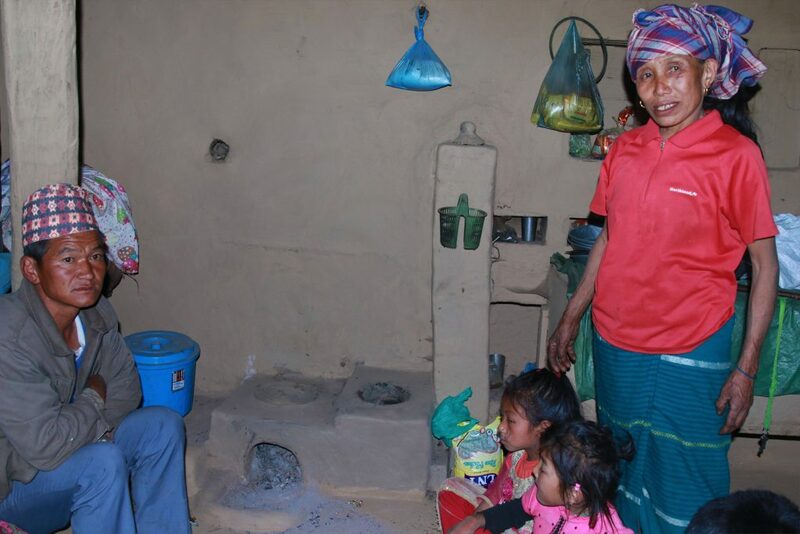 Lalichandra’s family is one of the 1,126 families who installed Improved Cook Stoves (ICS) in Chheskam and Gudel in early 2018. ICS are often called smokeless stoves because they make the indoor area smoke free by diverting smoke outside through a chimney. This has a significant positive impact on the health of community members, especially women and children who spend a lot of the day around the fireplace. It also uses significantly less firewood and cooks faster in comparison to traditional stoves. This has been an extremely popular program. During our survey in March 2018, more than 90% of households said they were satisfied with the program. 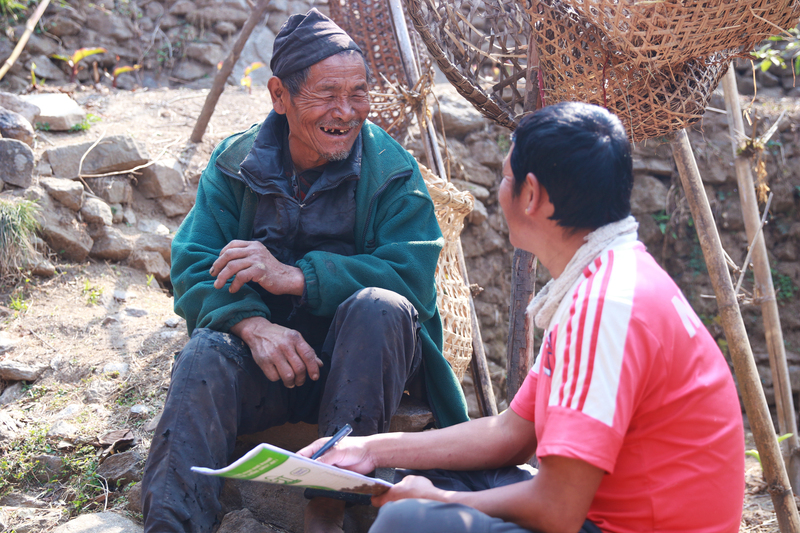 Our field evaluation assistant Bhalakaji speaks with elderly Dalbirata Kulung during the ICS program survey in Chheskam. Laptansukha Kulung and her family are very happy with their ICS! The Improved Cook Stoves have helped reduce the drudgery and difficulty of doing something simple like cooking. 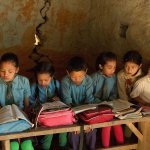 As a result of the program’s popularity, our partner community Bung, which borders both Chheskam and Gudel, submitted an official proposal to start an ICS program. This is their highest priority project for the year 2018-2019. 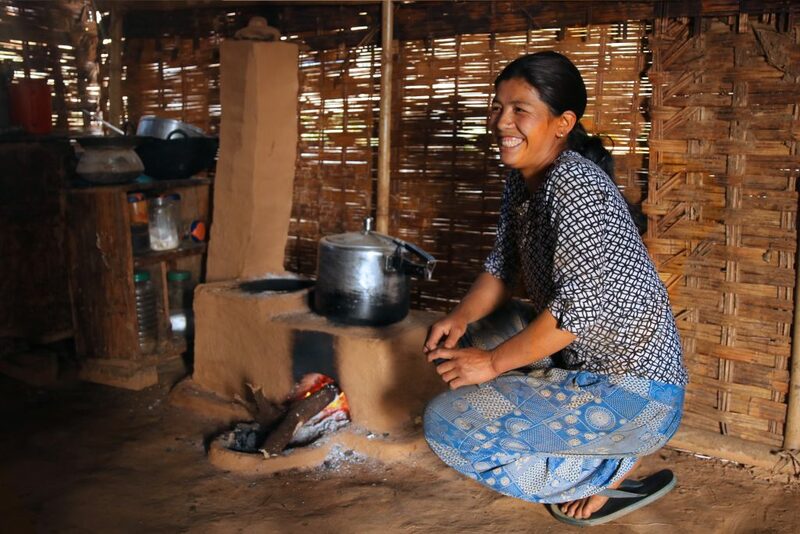 Between October 2018 and March 2019, we will be working with about 300 households in Bung to install the new stoves for the first phase of program. After that, we will be working with close to 500 additional houses so that the majority of households in Bung will be indoor smoke free. A community member and students studying an ICS informational flyer in Bung. In a short amount of time, ICS has become one of our major programs even though it was a remote idea for us as recently as 2016. 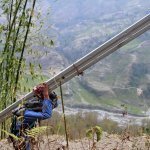 In April 2016, we brought some of our supporters to our field area to show them our projects. During this trip, we had a meeting with one of our local NGO partners and community members to facilitate a direct interaction between community members and donors. At that meeting, a few community members expressed that they wanted to build smokeless stoves in their homes. We didn’t have the technical expertise to build an ICS. Our partner communities had never expressed this desire to us before. It was a new idea for us, and certainly one we wanted to explore. 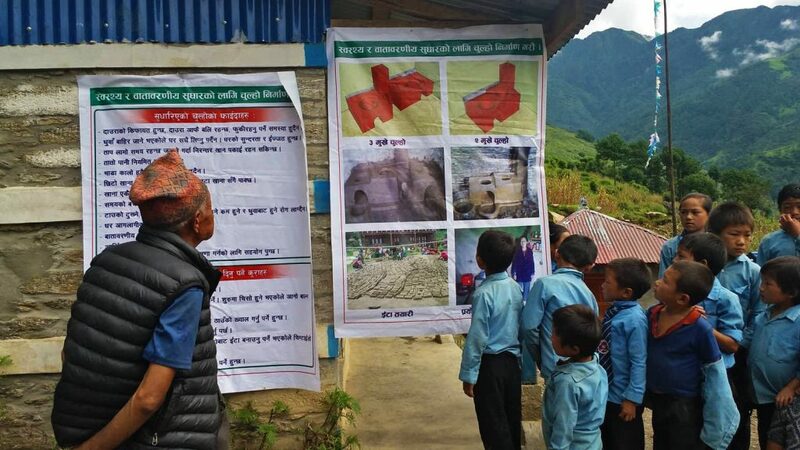 As we continued to pursue this with our partner communities, we discovered that the people of Chheskam and Gudel were really interested in ICS. Many of them had heard about the benefits of these stoves on the radio or had seen them when they traveled to other villages. 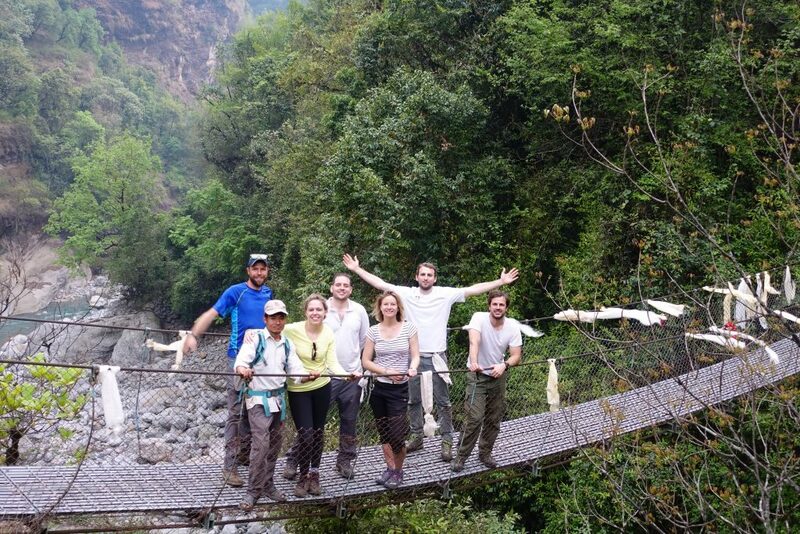 This same donor group who visited our working area also raised funds after their visit to Nepal as a “trekking party fund”. They were eager to let us pilot the ICS program with this fund. The donor visit in April 2016 that inspired Improved Cook Stove Program. For months we collected information, conducted research, had many discussions with our partner communities, and coordinated with multiple organizations with technical expertise before we finally came up with a plan for our ICS program. At the beginning of 2017 we started our pilot program. This involved training 54 community members from Chheskam and Gudel on how to build ICS. After their training, they became ‘stove masters’. 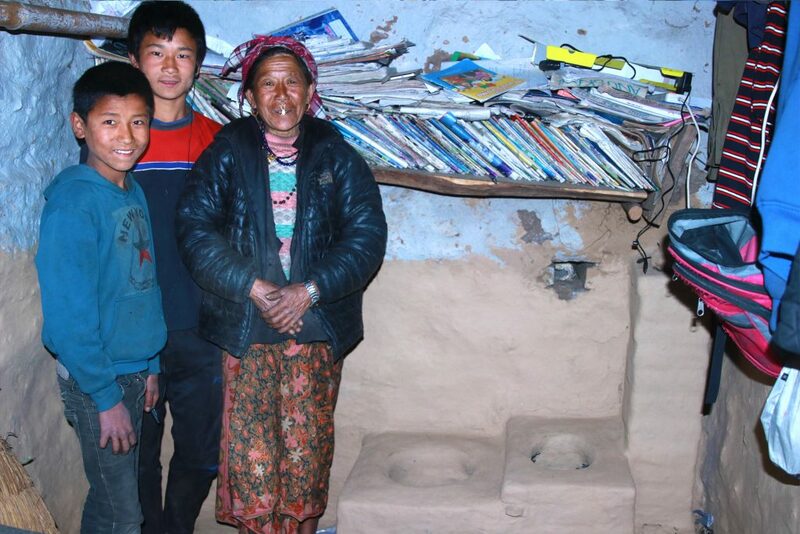 They built ICS in their own homes and we monitored the stoves for a few months to see how they would perform. The ICS in the stove masters’ homes were a success. Many others became extremely interested in building these stoves when they saw how well they worked in their neighbors’ homes. At the end of 2017, we launched our full ICS program. Now, a year later, 1126 houses (about 70% of all households) in these two communities have built and are using ICS. 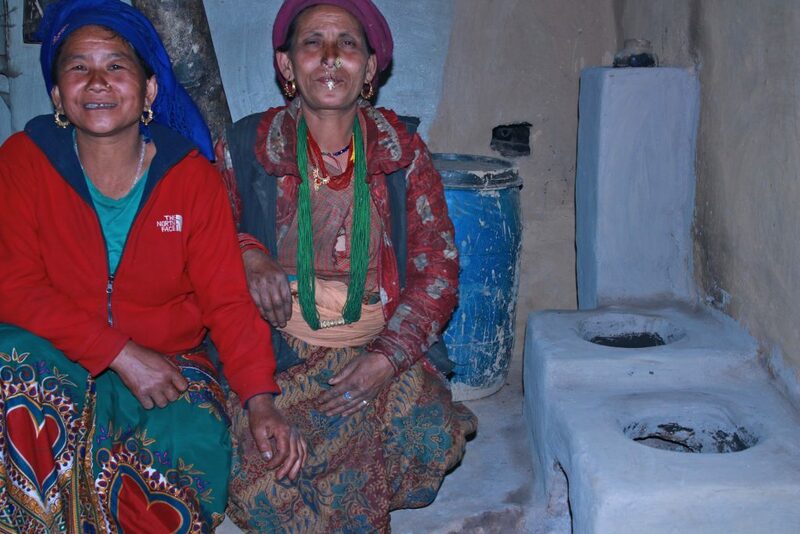 Community members in Chheskam and Gudel with their Improved Cook Stoves! We are forever grateful to our supporters from Vitol who not only inspired us to pursue the ICS program, but have also been one of our main supporters for this entire endeavor. We are proud to be partners with such visionary communities who not only have an idea about how they can prosper, but who are also working hard toward the actualization of these ideas. Previous Youth Trip 2018 – Adventures and Achievements!